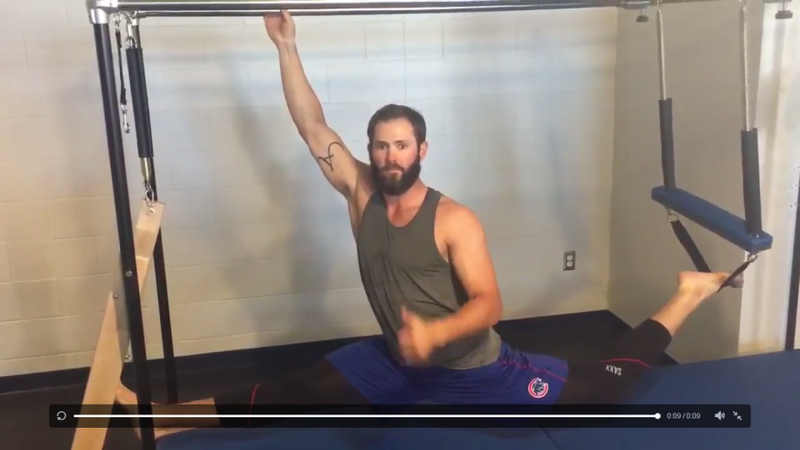 Chicago Cubs pitcher Jake Arrieta works out on a Pilates reformer. Arrieta has said Pilates turned his career around. One of the hottest pitchers in Major League Baseball today was nearly a wash-up after his disastrous 2013 season. When Jake Arrieta was traded by Baltimore to the Chicago Cubs in July 2013 his ERA (earned run average) was a ghastly 7.23. Batters were pounding everything he threw at them. Fast forward to last season and the current one. After the mid-season All-Star break last year, Arrieta won 12 games and lost one with a 0.75 ERA over 103 1/3 innings in 15 starts. He went on to receive the coveted Cy Young Award as outstanding pitcher of the year. Categories: mat pilates, studio pilates | Tags: Ambergris Caye, Balanced Body reformer, Belize, Chicago Cubs, Island Pilates by Rose, Jake Arrieta, Rose Alcantara, San Pedro | Permalink. That probably is no shock to those who know me. But I can’t always eat what I want, when I want. Especially if I am teaching Pilates classes. If you think it is hard exercising on a full stomach, try teaching all day that way! 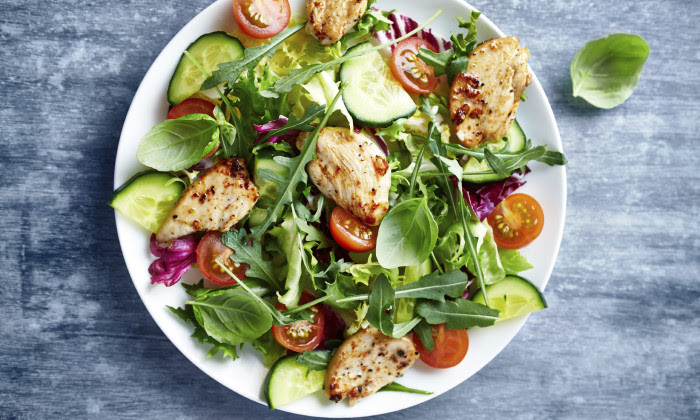 But there are good foods to eat before working out (in moderation of course) — and foods that will maximize the benefits of your workout to eat when you are done. Todd McCullough, founder of TMAC Fitness in California, offers some good suggestions for fueling up before a workout and replenishing afterward. Read all about it right here. Here are the favorite pre-workout snacks of 10 top trainers in NYC! Here are the five best foods to eat before and five to eat after your workout! Categories: mat pilates, Nutrition challenge, studio pilates | Tags: Ambergris Caye, Belize, exercise, healthy living, Island Pilates by Rose, pilates, Rose Alcantara, San Pedro, workout | Permalink. Chelsea Roff gets the surprise of her life. Leading a positive life can be richly rewarding, for you and those around you. Chelsea Roff is a yoga teacher who owns a non-profit studio that specializes in helping people recovering from eating disorders. Categories: mat pilates, studio pilates | Tags: Ambergris Caye, Belize, healthy living, Island Pilates by Rose, pilates, positive outlook, prank it forward, Rose Alcantara | Permalink. Miss Rose is enveloped in the cooling scent of eucalyptus as she prepares chilled towels for her Pilates classes for the week. At the end of every Pilates session, private or group, Rose loves to hand out chilled towels scented with eucalyptus oil. Nothing revives you after a hard workout like resting on your back with a scented towel over your face, breathing in the cool invigorating eucalyptus scent. This is a picture of Rose this afternoon, dipping her freshly washed towels in the eucalyptus water, then rolling them up before packaging in sealed plastic bags. She is starting the week off with 40 scented towels and will likely rewash, scent and chill them again by Thursday. Rose brings towels for her two floor Pilates classes at Zen Belize, on Tuesdays and Thursdays at 10 a.m. Some Pilates students are so refreshed they stay for the 11 a.m. yoga class with Tara! On the first Friday of every month Rose has extra towels ready for the all-volunteer Tres Cocos Roadside & Beach cleanup crew which ends the day at Daydreamin’ Belize Bed & Breakfast and Marbucks Coffee House. In both cases, Rose never knows how many people to expect so she always prepares extras, just to be on the safe side! If you have never experienced the feel of a chilled eucalyptus-scented towel on your face as you rest on the mat at the end of a vigorous workout, you are missing a real treat. Come try a Pilates floor session at Zen Belize and feel the coolness at the end of class! Categories: mat pilates, studio pilates, Uncategorized | Tags: Ambergris Caye, Belize, Island Pilates by Rose, Mat Pilates, pilates, reformer, Rose Alcantara, San Pedro, Tres Cocos, Zen Belize | Permalink. I love hearing how sore some people are two and three days after a Pilates session on the reformer. It is called delayed onset muscle soreness and it means we got into areas that aren’t used to being worked. Understand, the pain gives me no pleasure but the message it is sending to your body does. Once you have received that message — that those muscles have been worked hard — you don’t want it to linger, do you? Here’s a quick list of 10 steps you should always take before, during, and after a workout. Categories: mat pilates, studio pilates | Tags: Ambergris Caye, Balanced Body reformer, Belize, delayed onset muscle soreness, Island Pilates by Rose, Mat Pilates, pilates, Rose Alcantara, workout | Permalink. Why you need a personal trainer . . .
Just saying . . . Sorry, I have this on repeat and can’t stop laughing! Trust me, you are in good hands with Island Pilates by Rose. Categories: mat pilates, studio pilates | Tags: Ambergris Caye, Balanced Body reformer, Belize, Coco Loco's, exercise, healthy living, Island Pilates by Rose, pilates, Rose Alcantara, San Pedro, Tres Cocos | Permalink.